Fujian and Yunnan provinces are the tea producing area with long history. During this China tea culture tour, we will learn about various tea grown in Fujian and Yunnan, at the same time, enjoy the mountain scenery and explore local culture. Get to know more about the tea in Fujian and Yunnan. Visit the highlights of Xiamen city. Our guide will wait for you at the airport, and then transfer to your hotel. Today take the high speed train to Fuzhou, the capital of Fujian city. Then pay a visit to A Jasmine tea plantation where you will have a chance to learn the whole procedure of Jasmine tea made with Jasmine flowers and green tea leaves. Today take a free and easy walk in Sanfang Qixiang for shopping or taste local food. Literally Three Lanes and Seven Alleys, it is celebrated as an architectural museum of Ming and Qing Dynasty buildings. Then go to visit Taimushan by bullet train. After lunch, enjoy the beautiful sea shore of Niulangang, then go to visit famous Fuding white tea. After breakfast, take 3 hours to visit the wonderful Taimu Mountain. In the afternoon, take the bullet train to Xiamen and enjoy the amazing view of the Ring Road and wonderful night view of Xiamen City. Overnight at Xiamen. In the morning, our tour guide will pick you up from your hotel in Xiamen and drive about 1.5 hours to Anxi. Anxi is well known for a number of varieties of Oolong tea, the best-known of which is Tieguanyin. Anxi Tieguanyin is classified as one of the Top 10 Chinese Tea. Upon arrival, we will head to visit Xiping Village, the home of the original Tieguanyin bush. Then continue the tour to Tieguanyin Cultural Garden and Weiyin Tea Factory to know more about the history and production methods of Tieguanyin. In the afternoon, move on to China Tea Capital, which is the largest wholesale market of Tieguanyin in China, showcasing Anxi County’s famous tieguanyin tea. After the tour, transfer back to Xiamen. Today we will visit South Putuo Temple and Gulangyu Island. 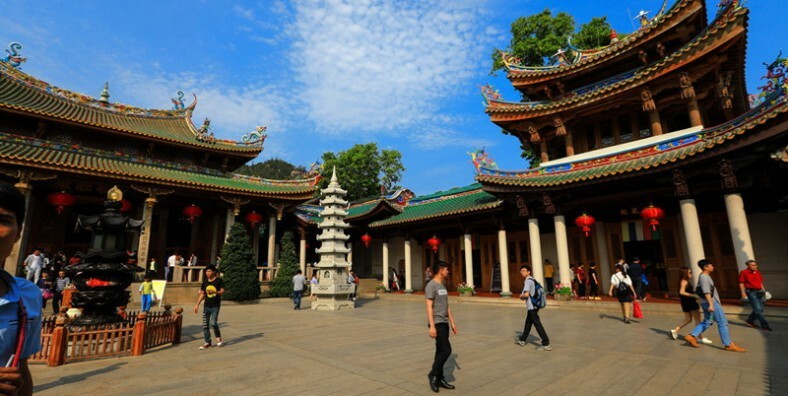 South Putuo Temple is a famous Buddhist temple founded in the Tang Dynasty. 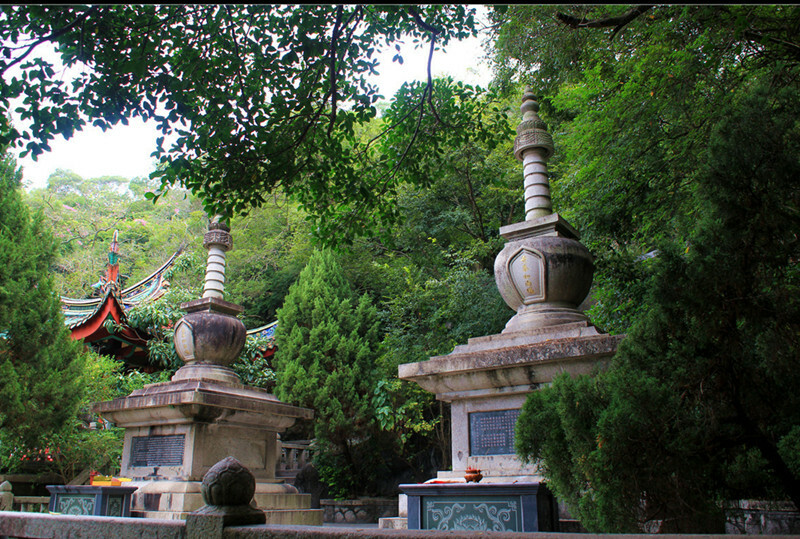 It is so named because it is south of the Buddhist holy site Mount Putuo in Zhejiang Province. Gulangyu Island is a UNESCO World Cultural Heritage Site included in 2017, renowned for its beaches, winding lanes and varied architecture. Shuzhuang Garden and Piano Museum are two famous sights on the island. After the tour, take the high speed train to Wuyishan. Today we will take a bamboo raft floating down the Jiuqu (Nine twists) Stream and then hike up to see the Dahongpao tea trees. In the evening, enjoy the Dahongpao Impression Show directly by Zhang Yimou. Today climb up the Tianyou Peak (Heavenly Tour Peak) to have a bird view of the mountain scenic area. In the afternoon, head to Wu Yi Nature Reserve to visit an old tea factory who produces smoky Lapsang Souchong black tea. Learn its making method and also taste different products of the factory. Today we will travel to the birthplace of white tea – Zhenghe, Mr.Yang, the boss of Zhenghe Longhe Tea. He will tell you about white tea history. Much more surprises await for you. Pick you up at your hotel. Take a flight to Kunming. Enjoy your free time in Kunming. Take a morning flight to Puer City. After arriving in Puer, drive to visit Puer Tea Gardens. Explore the Chinese Tea Institute and their library of dried tea leaves. In the afternoon, visit China Puer Tea Exhibition Garden. Tea culture is an attractive tourist factor of the city. The exhibition garden is built on the Yingpan Mountain, 29 kilometers (18 miles) from the downtown area. Against the background of a vast tea garden, it is made up of Puer Tea Museum, Tea making workshop, tea-picking zone, tea appraisal garden and some other facilities which comprehensively show the history of Puer Tea, and of how to plant and produce as well. Transfer to Jinghong for overnight. Drive along the Mekong to Ganlanba, a major residential area of Dai People, see a lively daily market where local people sell or buy food and other native products. Drive to visit Yiwu Old Town, a small town once boomed due to tea trade in the history, see the old part of town and the stele erected in Qing Dynasty that recorded the trade situation at that time, pay a visit to local families that are still producing Pu’er Tea by the traditional way. Drive to Menglun, visit the biggest tropical botanical garden of China. Enjoy morning freshness in the botanical garden, have a relaxing walk in natural zone for a short experience, and learn the great bio-diversity of rainforest. After lunch, transfer to Jinuo Moutain. Visit Jinuo People, who uniquely belongs to this region and is the last ethnic nationality classified by Chinese Government in 1979. See the ancient tea plantations around Jinuo village, which used to be one of Six Great Tea Mountains reputed as the cradles of famous Pu’er Tea, try Wrap-charcoaled Tea and Salad Tea Jinuo people prepare in their traditional way. Drive to Mount Nannuo, see ancient tea plantation aged over 800 years. Aini have been engaged in tea-planting here for centuries. Visit their village and taste roasted tea they prepared in unique way, through chat we may discover how much Aini people rely on tea. Move to Menghai, pay a visit to a small tea workshop in the village to learn about how fresh tea leaves are processed. Go on driving to Jingmai Moutain for overnight. After breakfast, pick tea leaves and visit different ancient tea gardens and different beautiful villages. 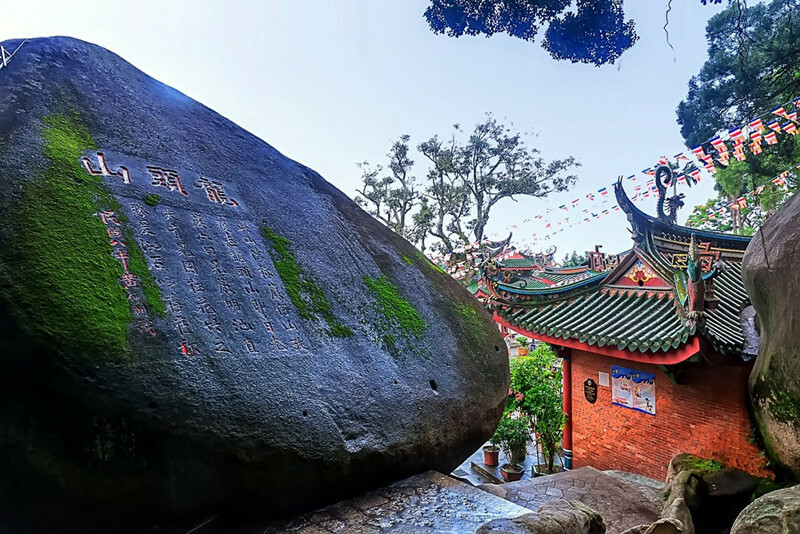 Our guide will show you more about Pu’er tea and the life of the local minorities. Share tea culture with local people and learn to process tea. Drive from Jingmai to Jinghong, enjoy your free time and visit night market in the evening. Departure from Jinghong. Service ends.